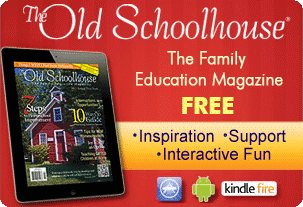 The Institute for Excellence in Writing has been a blessing to our homeschool. We have been using their writing curriculum for some time and I was excited for the opportunity to review their Phonetic Zoo Spelling Level B [Starter Set]. This is a product that I have heard about for some time and even looked at during homeschool conventions. But I have not taken the leap to purchase the program. I simply felt that we were doing other things for spelling and they were going fine so the Phonetic Zoo was not necessary. However, after having the opportunity to review this program I must admit, I wish I had started with it on Level A. This is a GREAT program! We received the Phonetic Zoo Spelling Level B [Starter Set], which included a set of full-size cards, a set of small, mini-cards, and a complete Level B 5 audio CD set. This is a complete year of spelling if your student progresses at a typical rate of a lesson per week. My daughter LOVES spelling and is a natural speller so I frankly we have used spelling programs in the past but I’ve found that we don’t really need one, as she reads and writes and has little issue with spelling most words. However, she really LIKES spelling. And I am all for encouraging learning in areas they love. It does make school fun! And if it helps make her an even BETTER speller I think its great. The other plus is that its from the Institute for Excellence in Writing (IEW). We LOVE IEW products! (You can read our review of the Writing program here.) I have listened to countless podcasts and audio lectures by Andrew Pudewa (and there is one that comes with the additional resources in this package as well which I love – yay!) I think that Mr. Pudewa is an excellent lecturer and teacher and my daughter loves learning with him. She insists on seeing him speak at the homeschool conventions. And I think she is actually a little “star struck” when she sees him, which is adorable! The Phonetic Zoo Spelling Level B [Starter Set] is awesome! The lessons are take about 10-15 minutes to go through and the spelling lessons are all concisely printed on one 2-sided card showing the lesson, the spelling list, and spelling rule they are working on. A fun verse/poem is included to help them learn the spelling rule and it is repeated several times during the lesson while they work through the spelling list. each lesson to see how she was doing. Then we discussed how it went and determined together whether she would repeat the lesson or move forward. IEW encourages repeating lessons if needed and gives guidance on how to determine when the child should move on and when lessons should be repeated. They emphasize in the introduction that repeating is good and not a discouraging event for the student, which I thought was an important things to stress. Since the lessons are nice and short, they are easy to fit into our busy day. And since she can do them independently, I’m even more pleased as it is something she can do while I’m working with the other kids. We started with the Phonetic Zoo Spelling Level B [Starter Set] after taking the FREE online placement test and determining that a good place to start was Level B. Since my daughter was on the edge between Level B and Level C, I chose for us to begin with Level B since we had not previously used the program. The additional resources that come with the Phonetic Zoo Spelling Level B [Starter Set] were excellent as well. I was very impressed. 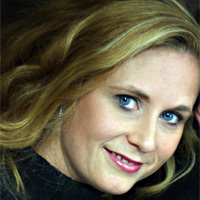 Offered as a digital download, there were resources such as podcasts and references. 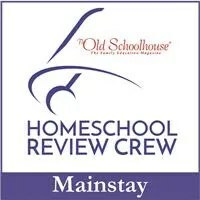 These are an excellent addition to our homeschool overall and quite an added benefit to purchasing the program. 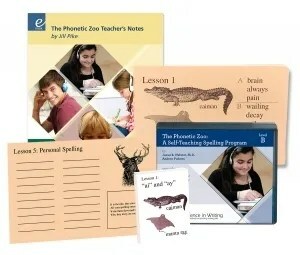 You can purchase your own Phonetic Zoo Spelling Level B [Starter Set] from the Institute for Excellence in Writing website for $99 for the physical CD and printed resources or $79 for a digital download of the program. If you already have used the program, you can simply purchase the CDs alone to move to a different level. You will want to take the Spelling Placement Test to determine which level is right for your student. And check out what the rest of the TOS Review Crew has to say about the Phonetic Zoo Spelling Level B [Starter Set] and other Institute for Excellence in Writing products by clicking the banner below.